When we in the west hear the word kindle we immediately think of ebooks and reading. After ten years in which Kindle has become as synonymous with e-readers as Hoover has with vacuum cleaners that’s a natural association. So when someone tipped me off that Amazon was involved in a children’s book fair in Pakistan, I ever so briefly allowed myself to think that maybe Amazon, the western world’s biggest ebook player, had finally woken up to the potential of the Pakistan ebook market. On the one hand we have the cold reality that we are now in the fifth year since Amazon opened anew Kindle store. On the other hand, while Pakistan’s internet penetration is at just 22% so it’s hardly surprising the Big 5 western ebook retailers are looking the other way, Pakistan has a population of 200 million, meaning that 22% equates to 44 million Pakistanis online. That’s more than twice the number of Australians online. That’s 4 million more people online in Pakistan than in Spain. It’s only 7 million fewer than Italy, and only 12 million fewer than France. But no, Amazon isn’t there. Apple isn’t there. Google Play isn’t there. Nook isn’t there. And Kobo’s presence is only through its US store, with almost no content available.In fact the Kindle reference was to the Kindle Foundation, which organised the Islamabad Children’s Literature Festival in conjunction with the National Book Foundation (NBF) and Shifa International. Kindle Foundation? That will be the Knowledge Inventions Ideas Innovations Discoveries Learning Education Foundation. exhibition, training and workshops, narration by renowned authors, storytelling sessions, learning sessions with parents and children, competitions, movies, Science, Technology, Engineering and Mathematics (STEM) Science stalls and Robots, Aero Modeling show, food stalls, Nigar Nazar’s Gogi show, puppet shows, games, songs and music, and an aerobatic display. 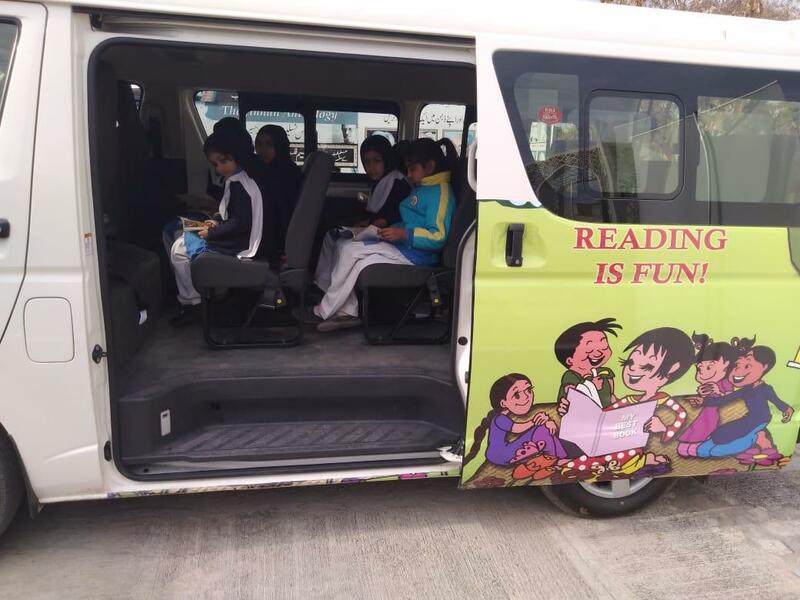 Which all sounds like great fun for the kids and an excellent way to foster the reading habit in a country where, not withstanding 6,000 turning out to a children’s book fair, supposedly no-one reads. Just last month over 600,000 booklovers turned out for 14th Karachi International Book Fair. That’s three times the number of Americans that attended the Washington National Book Fair in the US. In February the debut Adab Festival in Islamabad will go head to head with the 33rd Lahore International Book Festival. The former is expecting 200,000 visitors, while the latter last year drew a crowd of 300,000. But for digital it’s the classic chicken and egg conundrum. Few Pakistani publishers digitise their books because there are so few options to sell ebooks in Pakistan, and ebook operators look elsewhere because there is so little content to make investment in the country worthwhile. But it’s early days. Ten years ago the same could be said for the mature western markets, where ebooks were long a novelty. The next decade will surely bring ebooks to Pakistan in a big way, opening up new reading opportunities for readers and opening up new revenue streams for authors and publishers to reach both the domestic and international markets.